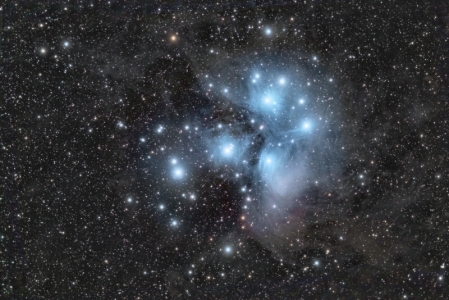 An extremely deep M45 image taken with the Sky 90s and M26C OSC CCDs. Over 25-hours total imaging time using 10, 20, and 30-minute sub-exposures. 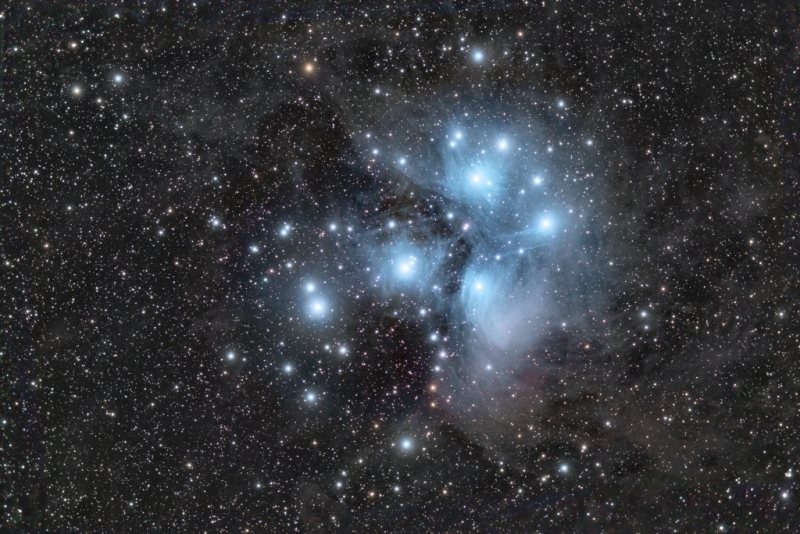 The image “cleaned-up” beautifully with Noel Carboni’s AstroFlat plugin.